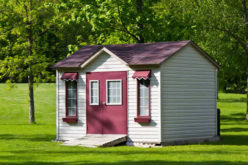 Your shed may not have cost you much, but it could be costly to replace. That's especially so if you have an eye for a new shed that requires a permanent foundation and is of wood construction with hardy plank siding, a center beam and posts. Never mind the cost you'll incur with deconstructing your current shed and sending off those parts to the dump. 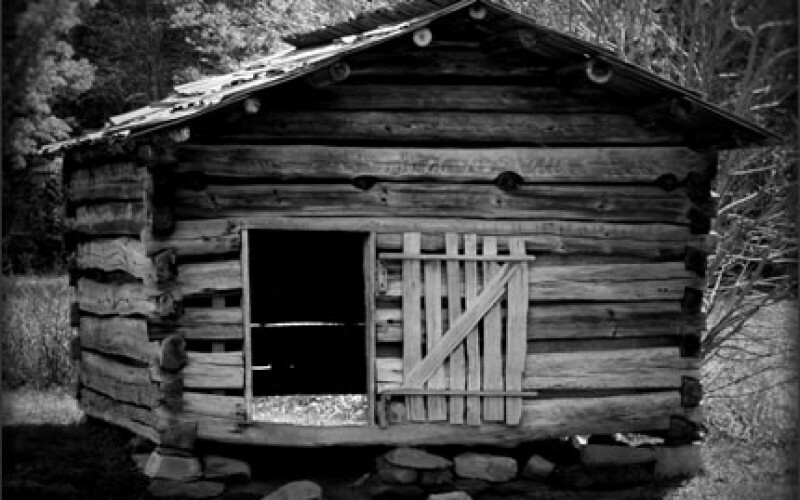 Evaluate the building — Take a good look at your shed and make a note of every problem that is present. If it leaks, then the roof may need replacement. If doors are difficult to open, then the track may need to be realigned. Examine the foundation for signs of deterioration and make sure that the shed is structurally sound. 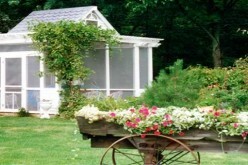 If your shed is beyond redemption, then skip the remaining steps and plan to buy or build a new one. Replace the siding — Rotten siding simply looks terrible. It also offers a strong indication that your shed is in bad shape. If sanding and painting the siding alone doesn’t do the trick, then replace rotten panels as needed. Fill in gaps around windows and doors, and seal holes. Use caulk as needed and prep the siding to be painted. 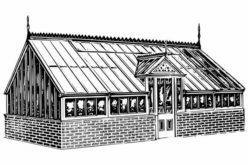 Repair or replace the roof — Wood shed roofs should last for many years, but your shed may have been neglected, contributing to some of its current woes. 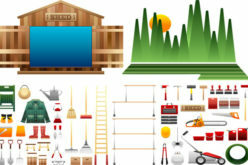 Prop up a ladder against the shed and carefully check the roof for durability. Rotten plywood could send you plummeting to the ground below and isn’t easily seen below a layer of shingle. Replace the ineffective plywood and remove the old shingles or place a fresh layer of shingles over your good roof. Update windows as needed — If your shed is particularly large and well used, you may want to replace your outdated windows with new ones. Consider energy efficient windows especially if you have a heat source within the shed. Shed windows are generally easy to replace and the frame should pop out with little effort. Secure your flooring — What kind of flooring is in your shed? Has it been damaged by water, cold weather or by animal incursion? Or, it could be made of untreated construction-grade lumber, which is suitable for a shed kept outside according to Joseph Truini, writing for Popular Mechanics. Pressure-treated lumber should be used advises Truini. It doesn’t have to be expensive, but it will be effective. 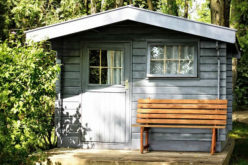 Decorate your shed — If you use your shed simply for storage, then decorating it may not be a priority for you. However, if your shed is also a place you can work, then consider decorating it with such embellishments as shelves, lighting, curtains and your favorite easy chair. You already spend much of your time in your shed…why not make it a home behind your home? You can also add in insulation and dry wall, running electrical lines for outlets and putting in switches for light fixtures. 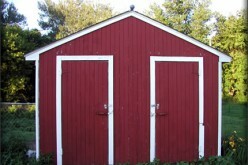 A well maintained shed can add value to your home. 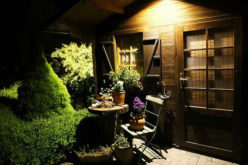 Conversely, a shed in poor shape can make it hard to sell your home and reduce your home’s value. If you suspect animal incursion the Internet Center for Wildlife Damage Management offers information on how to detect and address such issues. 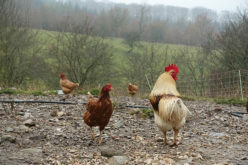 Most any animal may seek to make your shed their home at least when you’re not around and especially when weather conditions are adverse.